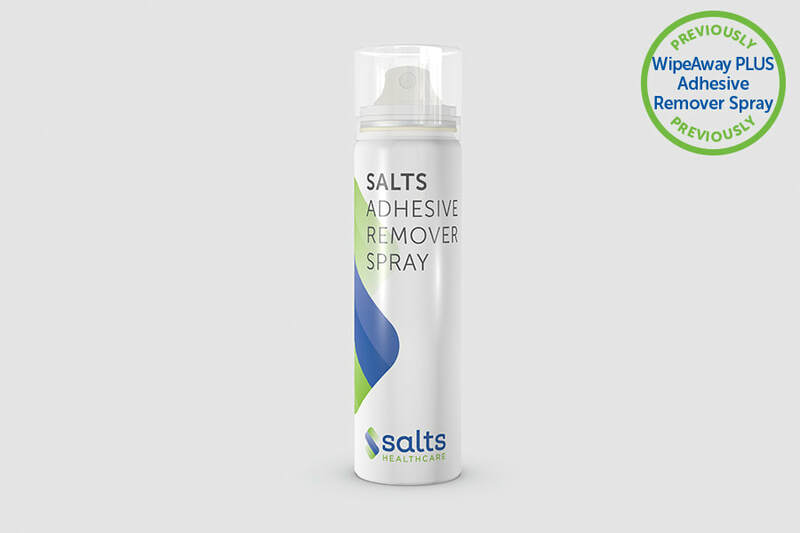 ​Salts Adhesive Remover Spray effectively removes residue and refreshes, helping to leave skin clean and adhesive-free. Containing a non-sting formula with a natural peppermint fragrance, Salts Adhesive Remover helps to mask odour, leaving you feeling fresh after every change. Product not available for sampling.